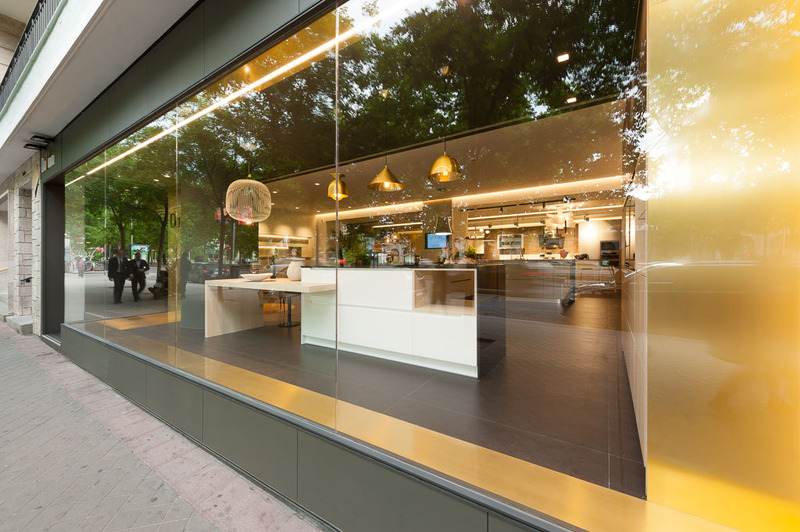 A kitchen furniture exhibition in Madrid’s Paseo de la Castellana where a wide material range in different shades and colours are shown. Straight kitchens, curved kitchens, vintage kitchens, wood coatings, varnishes, phenolics, high quality laminates or high pressure layered wood and anti-fingerprint stainless steel. Every kind of worktops and kitchen counters and a wide range of handles and accessories. Modern audio-visual aids and computer graphics. The kitchen furniture exhibition has easy access, easy parking (right next to the store) and bus stop, underground and train stations in front of the premises. Kitchen designers and fitters will be at your service, as well as endorsed and high experienced decorators. Give us the chance to meet each other. We will be glad to assist you! !